Our most exciting sponge innovations in years, Tera® and Tera Venus® are uniquely smooth and luxuriously soft. Both are proprietary blends of polyurethane-based foam and are available exclusively through The Penthouse Group. Tera® and Tera Venus® are ideal for the most demanding high-end consumer; they particularly excel in their compatibility and performance with liquid foundations, providing consistent, flawless application. Tera Venus’s unique formula also includes the industry’s best anti-UV inhibitors for maximum shelf life without yellowing. With their unique heat-sealable foam, Tera® and Tera Venus® are the perfect materials for eye shadow applicators. 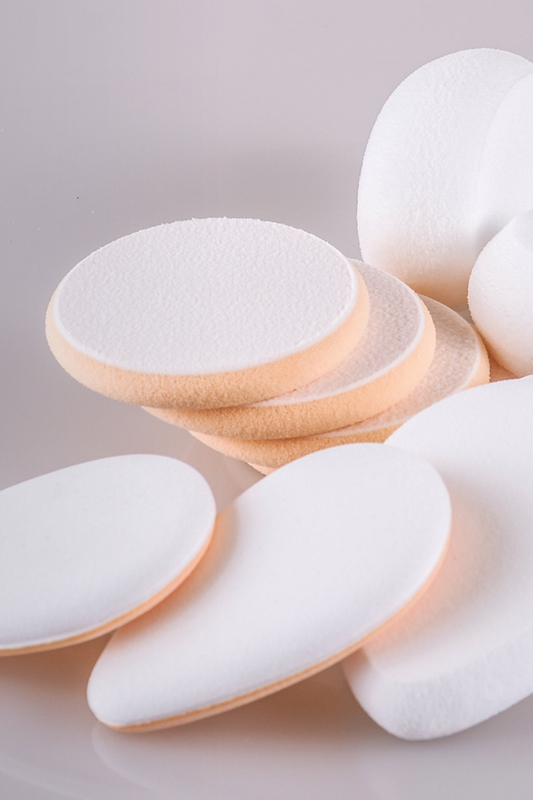 Tera® and Tera Venus® are significantly softer than traditional HZ and 100 PPI Foam applicators, so customers enjoy a more supple feeling on the eyelid as well as a more consistent application of product. Unlike other polyurethane-based applicators, Tera® and Tera Venus® are made without the use of harmful chemical solvents and are therefore a cleaner, safer and more environmentally friendly product.